Who is a Migrant Worker? For the purpose of our study, we identify migrant workers as people who are working in Canada under temporary visas who do not hold Canadian citizenship or permanent residency. The federal government’s introduction of a new, low-skilled category of TFW in 2002 created a new stratum of inequity within the migrant labour force. These workers face substantial restrictions when attempting to access permanent residency, in addition to threats of exploitation and abuse at the hands of employers, immigration agents, and employment agencies. Why the need for more TFWs in Canada? By 2007, the federal government recognized the TFW Program as a principle tool to help employers meet immediate skill requirements when Canadian workers could not be found. 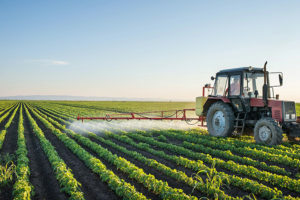 This development was driven largely by a resource boom in Alberta and across Western Canadian provinces, adding to the need for low-skill agricultural labour in Ontario, Quebec, and British Columbia. What makes the case of Saskatchewan important and unique is how the low-skill category became embedded within the provincial nominee program, as well as the provincial government’s efforts at making access to permanent residency and citizenship easier. Since 2005, the number of temporary foreign workers (TFWs) in Saskatchewan has climbed nearly 700 percent, compared to a national growth rate of 146 percent. This ranked Saskatchewan as the fastest growing destination for TFWs in Canada. By 2011, Saskatchewan overtook Manitoba as home to the fifth largest migrant workforce after Quebec. Recent data indicates there are approximately 11,000 migrant workers employed in the province compared to just 1,300 in 2005, according to recent figures. Why are we studying migrant workers in Saskatchewan? – and how the nature of public narratives around foreign labour may have shifted since the so-called oil and resource boom has declined.